This is terrifically written and I can so relate to the brat, the obedient sub and the professional. Thank you for sharing. – Do adversities amplify your submissive tendencies, or submerge them? This writing started off with the concept of discussing punishments that I have heard about or been subjected to. And as luck would have it, I learned a lesson of my own. I looked up images on the topic of punishment to find one to add to this post. And I saw pictures or drawings from typical spanking of adults and parents spanking children. However, I also saw images of pure torture. Hangings, severe beatings etc. 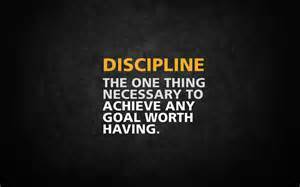 So I stopped and gathered myself and looked up images on the topic of discipline. What I found was far more supportive and likely to provide a lesson. Years ago, a friend of mine received a punishment because she spoke up to a Dom because of things she felt strongly about. He decided to punish her with breaking a limit she had. He also had another there that he gave pleasure to as a way to show her what she was missing out on. When he left the room, he told the one being punished that she now had to deal with the emotions of the one who wasn’t being punished. How was this this going to help any of them? What lesson did it teach? To my knowledge – None. It did form a friendship bond between the two women – who tried to make sense of it all. Fast forward to this past year, and the sub who was used for pleasure was now being punished for not being available when he wanted her to be (she wasn’t owned by him anymore) and he used a similar punishment. He punished her by making her please him while he was kissing and paying attention to another sub. He wanted to hurt her emotionally for not being available. Instead what he did was push her away and it changed her views on him and she left him. Granted a lesson learned, but not the one the Dom sought to teach her. This is punishment – it is done in anger and without thought given to what lesson needs to be learned. No growth happens. Fear and/or distrust is the result. Unlike punishment, discipline is done with intention. Whether it is self-discipline or at the hands of your Dom, the intention is to help you grow and achieve the goals you have. For example, I have a rule about sending 2 pics a day to Sir. I have the option of asking for a reprieve when overly busy or sick. So there is no reason for me to miss sending them. Except I often forget. So the last time I forgot, I had to send a picture every hour throughout my day except those that I was in meetings. This lesson was learned and I haven’t missed a pic since. I know why I send these pics and I genuinely want to send them. They are normal pics where he gets to see my smiling face, so easy to take. The way he handled it was to drive home my goal for pleasing him and remind me of the task at the same time. This was discipline that taught a lesson. And I’m grateful for my wonderful Sir that he understood punishment would not correct the forgetfulness or remind me of the joy we both have in the task to begin with. If anyone else would like to share their thoughts on this, it could be a great discussion.